I’m very excited to share my House of Colour experience with you today. I have and love my neutrals as much as anyone. At the same time, I’m also a big fan of wearing bright and bold colors. Did you know that even among neutrals there are some that can enhance your look over another? The same is true, of course, of color. Katie Pretzel Tenney and I go back all the way to our elementary days – I’ve been following her business on social media for quite some time and watching as she has grown and taken clients through amazing transformations. (Yay fellow girl boss!) All the while I was very intrigued by her craft and wanting to know more about how it works. Katie is expertly trained to help you discover your best colors and styles that will give you the confidence to show up to life as your best self. I finally made the step to reach out to her recently and experience my very own color consultation. You may be asking just what does all of this mean? Well, your own unique skin tone, eye, and hair color cause some colors to enhance your appearance! It is amazing what comes along with wearing colors that do this, resulting in looking younger, healthier, brighter, and even thinner. Check out the difference in my appearance from the beginning of the session to the end. Pretty fab, right? I arrived at Katie’s home office makeup free and ready to get my personal color education. The consultation is a detailed and thorough process in which Katie uses principles of color science to discover your color season. She spends a lot of time draping you in all kinds of color in the pursuit of defining your personal palette. Once she has achieved this and found your WOW colors, she performs what is called, the 90 Second Makeup Miracle. Mineral powder, blush, mascara, and lipstick will compliment you and give you a most refreshing after photo! Johannes Itten’s work with the color wheel is the foundation for House of Colour’s concept of defining your season/color quadrant. He found that all colors are either blue or yellow based, except for true red, which is an equal blend of both. These colors were then divided again by bold and bright or soft and muted. Once my color season, Winter, was determined I got my very own leather bound color wallet containing my WOW colors. I can take this with me whenever I’m shopping for clothing and accessories to help me add only the most flattering items in my closet. I had a blast working with Katie and I learned something that will be very valuable to me going forward. It’s interesting once you know your colors to think back to when people really compliment you on something you are wearing – often times I think you’ll find that those were times you were already wearing one of your WOW colors. You can walk out the door with House of Colour makeup if you wish, but there is no pressure to do so. I was thrilled to get the blush as that tends to be one of those things I never know how to choose for myself. I also went home with a few of the amazing shades of lipstick. My experience left me wanting more! Next on my list is revisiting Katie for a “Personal Style Training Day” in which you are taught to create a wardrobe that helps you to look your best every day. She uses Carl Jung’s basic body archetypes to help dictate what style of clothing will naturally look better on you. Personality is also considered because of the importance of authenticity in creating a personal style that reflects confidence, trustworthiness, authority, and beauty. 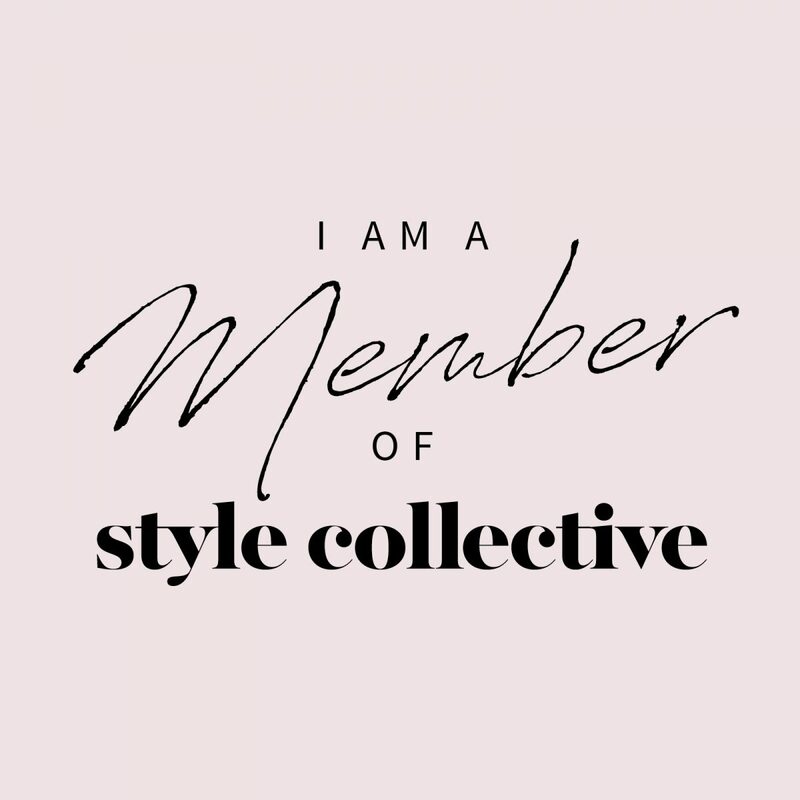 Whilst fun to have some trending additions to your closet, how great does having the knowledge to choose well and avoid mistakes by learning the styles and shapes of clothing that work best for your body’s natural lines, your personality, and lifestyle. Even getting into patterns and textures. Have you ever heard the saying, “Choose well, buy less”? That is what comes to mind when I consider getting a personal style consultation with Katie. I can’t wait! I hope you enjoyed this! It is an experience I would highly recommend.